Professor Vincent Carretta, University of Maryland, was an Omohundro Institute Georgian Papers Fellow who spent last November researching at the Royal Archives. 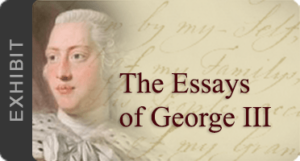 I was delighted to have been chosen the Inaugural Senior Fellows from Omohundro Institute to participate in the George III Papers Project, which is co-sponsored by the Institute and King’s College, University of London. For the past thirty years or so I’d fantasized about what the Royal Archives, Royal Library, and Print Room at Windsor Castle contain that might be relevant to any of my research projects. I’ve spent the last two decades editing the works of, as well as writing about, English-speaking authors of African descent before 1800. Many of them claimed, or were said to have had, some connection to the Georgian Court, whether in person or by correspondence. The Omohundro fellowship gave me the chance to dig in the holdings at Windsor Castle to try to discover evidence of those connections. My earlier work on those authors enabled me to appreciate the significance of any relevant material that was hitherto undiscovered. Ideally, the relationship between a researcher and an archive is symbiotic: each benefits from the encounter with the other. I luckily had that experience at Windsor Castle. One example of such good fortune was the copy in the Royal Library of Quobna Ottobah Cugoano’s abolitionist book, Thoughts and Sentiments on the Evil and Wicked Traffic of the Slavery and Commerce of the Human Species, published in London in 1787. I knew from a holograph letter by Quobna Ottobah Cugoano, alias John Stuart, in the Gloucestershire Record Office that Cugoano had given a copy of his book to the Prince of Wales, the future Prince Regent, and later George IV. And there it was! I’m very grateful to the Omohundro Institute for having given me the opportunity to spend time in the holdings at Windsor Castle, which I think was mutually beneficial. 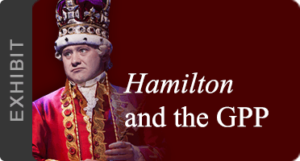 This post and others also appear on our sibling GPP site at the Omohundro Institute.